Felt Letter Board Organizer Just $17.95! Down From $40! You are here: Home / Great Deals / Amazon Deals / Felt Letter Board Organizer Just $17.95! Down From $40! Head over to Amazon to score this Felt Letter Board Organizer for just $17.95 down from $39.99 PLUS FREE shipping with Amazon Prime or for orders $25 or more! Make your statement in writing, decorating your home or office word with your funny or inspirational messages! This black felt letterboard is made from sturdy oak wood to be your stylish, chic announcement board for long years to come! 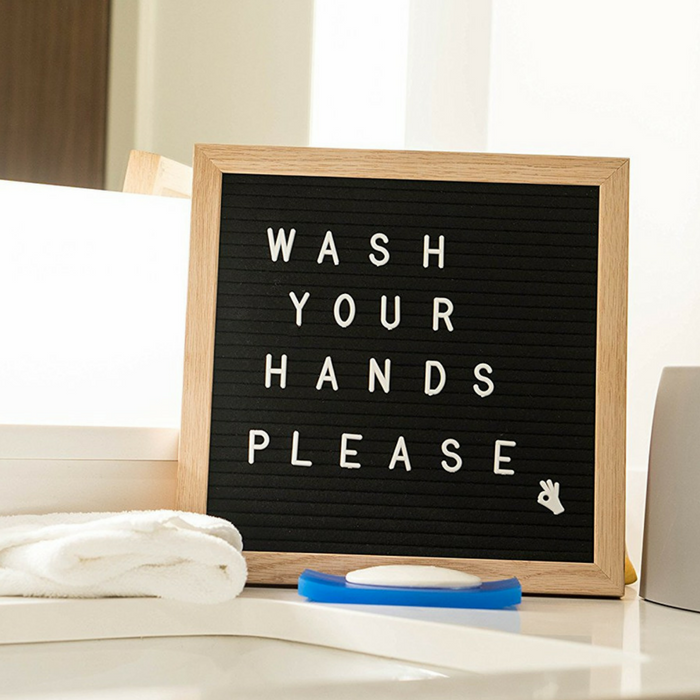 With a full 360-pack of easy to stick & remove letters, numbers and symbols, it will make the perfect pregnancy, baby or birth announcement board, your changeable letterboard for the office, the restaurant menu board or just a welcome board for home! Nice! WRITTEN WORDS SPEAK LOUDER! Use this changeable felt letter board in countless ways to convey your message in style! It is an excellent letter menu board, outdoor sign board, and perfect baby message board. STURDY, QUALITY-CRAFTED & DURABLE! This 10”X10” announcement board is made from oak wood and lined with black felt. Value pack includes 360 EASY TO USE letters, numbers, punctuation symbols, and emoji’s in a CANVAS DRAWSTRING POUCH! INSTALLATION MADE A BREEZE! Just take your wooden letter board out of the box and hang it on your home or workplace wall! Firmly secured due to the saw-tooth hook on the back.The cut out SCISSORS included as a stunning BONUS will make your handy multipurpose tool. A PERFECT GIFT IDEA! Thrill your family or friends with a multipurpose black felt letter board that will inspire their expression! Offer it as an unforgettable birthday, housewarming or impulse gift and put a wide smile on the face of the lucky recipient!